Guide: bulk mint tin giveaways prices. 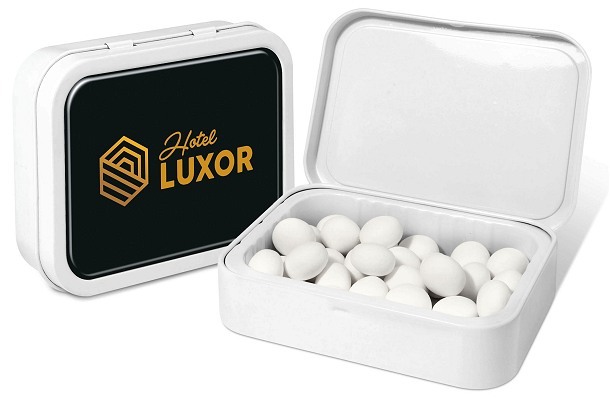 A white flip top tin containing 90 grams of Mint Imperials. Your giveaway branding is printed on the tin lid 99mm x 69.2mm with a generous 99mm x 69.2mm branding area.